Cognitive strain occurs when our brain is making multiple mental calculations, reading instructions in a poor or faint font, decoding complicated language or when we are in a bad mood (or even just frowning). 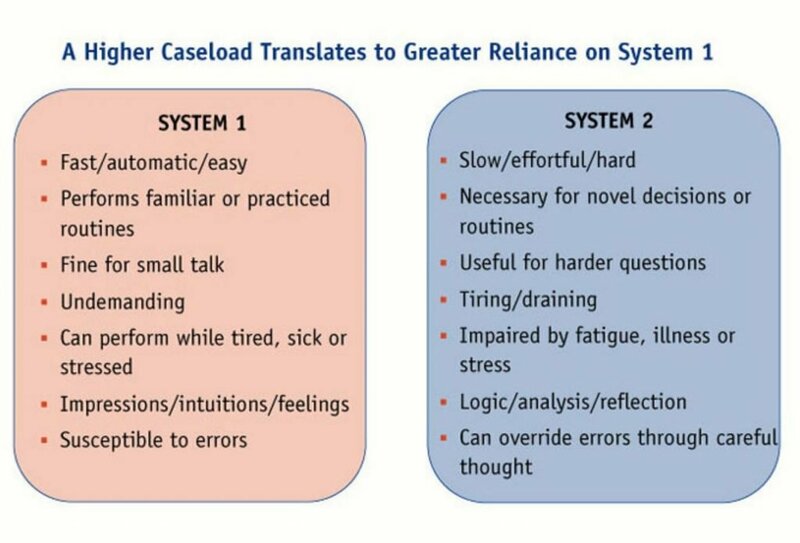 For conversion it matters because cognitive strain triggers System 2, our slow deliberative brain, and this directly influences behaviour in a number of crucial ways. Take greater care and scrutinize the content more than usual. Are less comfortable and certain about the nature of the content. Make fewer errors as we rely on our intuition less. Are less creative and so not as responsive to creative content. The risk is that cognitive strain creates sufficient uncertainty and negative feelings about a site (i.e. friction) that visitors don’t feel comfortable enough to sign up or make a transaction. It is human nature to avoid uncertainty because it makes us feel uncomfortable. This is partly why site security and trust is so important to website visitors. For more details of how contrast and font choice can influence cognitive strain see this post; Does low-contrast text kill conversion rates? If an experience reduces cognitive strain the opposite is true. Cognitive ease makes content appear more familiar, it reduces uncertainty which makes people feel more comfortable with their environment and allows users to rely on their fast, intuitive brain (See System 1). This means people are more impulsive and trusting which can increase conversion rates. For more information on how to reduce cognitive strain and encourage cognitive ease see this post; Minimising cognitive load to improve conversions. Cognitive strain can be a problem because it triggers our System 2 brain function which is slow and deliberate. This can make people more cynical and less trusting. However, our System 2 brain has limited capacity and can quickly become depleted. This means that System 1 takes over other, less complicated decisions. This makes people more prone to mistakes and missing important information that we may need them to process. That’s why error handling is so important and it’s a good idea to have safeguards in place to prevent data being deleted by mistake (e.g. Do you really want to delete this? ).